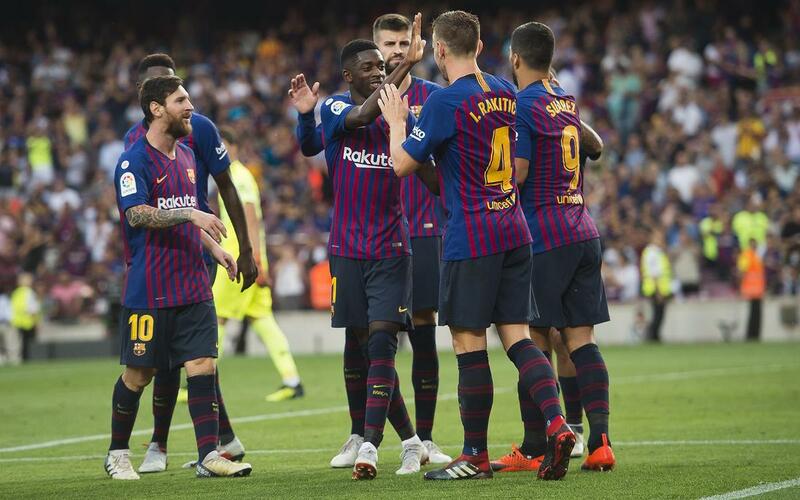 FC Barcelona have been enjoying a spectacular start to the 2018/19 season, especially in front of goal. With a pair of strikes in the 2-2 draw against Girona this past Sunday, Ernesto Valverde's side now have 16 goals after just five matchdays -more than any other side in LaLiga. The goals have been spread about, as Barça have shared scoring duties amongst seven different players. Lionel Messi has found the net on five occasions, making him joint top scorer with Girona's Cristhian Stuani, but the list of players to have opened their account also consists of Ousmane Dembélé and Luis Suárez (with three apiece), Gerard Piqué, Ivan Rakitic, Coutinho and Jordi Alba. None of Barça's rivals have quite such variety in front of goal, with Alavés, Athletic Club, Real Madrid and Real Sociedad having six different scorers. Piqué's first goal of the season made him the seventh goalscorer for the Blaugrana this term. At this point last season, Barça had six different goalscorers. In fact, in the past five years, there have never been fewer than five scorers in the opening five matchdays.